Senior Apartments in Los Angeles County have many senior living options. 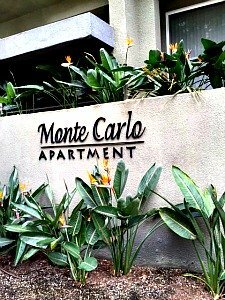 There is a large variety for every price range, including affordable apartments in Los Angeles (income limits apply). Los Angeles is a fast-paced area with an ideal mediterranean sub-tropical climate. 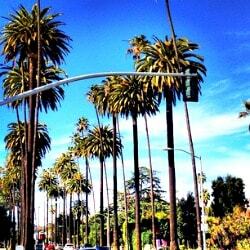 Los Angeles is a fast-paced area with an ideal sub-tropical climate. A fun activity for retirement in Los Angeles is to be a movie extra. There is plenty of need and one might create a new life this way, if successful. LA has a style of its own. Los Angeles County senior housing can be for over 55 or 62+. This is a large, experienced developer of senior apartments since the 60's for market rents or affordable rents. 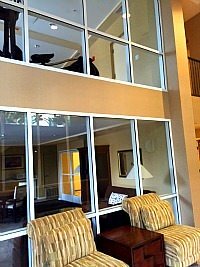 Some apartments are a combination of both and excellent value. The buildings are beautiful and professionally managed. See Meta Housing locations map. Senior Artists Colonies: Meta Housing is developing more of the successful Senior Artists Colonies in the Los Angeles area. Buckingham Senior Apartments by Meta Housing 70 units of affordable housing now leasing by Meta. 4020 Buckingham Rd. Phone at Meta: 310-575-3543. Figueroa Sr Housing - Los Angeles - Contemporary-styled - 35 units by Meta at 7621 Figueroa Street. Metro at Hollywood - Walkable in Hollywood - 120 affordable apts in mixed use building. Large clubhouse and courtyard. Belmont Village - Westwood - This community has studio, 1 and 2-bedroom apartments for independent living as well as assisted. Convenient to UCLA Medical Center. 10475 Wilshire Blvd. - Ph: 310-475-7501. 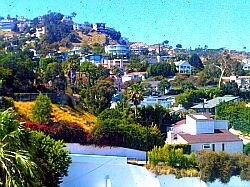 Parkview Living - Echo Park area - Award-winning new beautiful mediterranean-styled - market rate rentals for 62+. Walkable historic neighborhood. Burbank Senior Artists Colony - San Fernando Road and East Verdugo Ave - Burbank - Starts at $1705 per month for 55+ - 141 one and two-bedrooms with kitchen, air conditioning and access to free arts classes and workshops. Some apartments are reserved for affordable housing. Popular with artists due to the art studios, video and film editing lab, computer lab, community room, movie theater and projection room and more. You do not have to be an artist. They emphasize it is for everyone. The Metro at Compton Senior Apartments Compton - Tamarind Ave - by Meta 75 units. For 55+ - Calendar of activities. 1 and 2-Br no smoking. 302 N. Tamarind Ave. - 424-345-2106 - Open M-F 9-5. Valley Village - No. Hollywood - affordable 188 units at 12111 Chandler Blvd. Near transportation. Adjacent to Metro Orange Line. North Hollywood Arts Colony - Meta Housing - No Hollywood - 126 units in NoHo Arts District. - "green" community - art amenities include classrooms, art studio and gallery, digital video and film making lab, and more. 10747 Magnolia Blvd. Also, swim pool and spa, leasable storage rooms, community room. Utilizing the EngAGE program for active seniors - also, 27 units for low income seniors. Long Beach Senior Arts Colony Long Beach Blvd and Anaheim Street. 200 mixed-income rentals - one and two- bedrooms for age 55+ - green housing - bicycle facilities, priority parking for hybrid-electric cars, wider public sidewalks, bus stop near light rail Blue Line, and car sharing service. Also, movie theater and projection room and a library and game room plus more. Free on-site arts activities. Long Beach Regal (the Annex) - part of Long Beach Sr Arts Colony, above. 39 affordable housing units. Arts amenities, activities and much more. Outdoor spa. 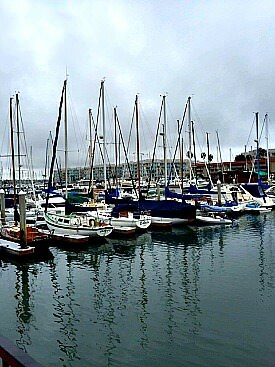 Breakwater at Marina Del Rey luxury apartments - not just for over 55 but may have short leases to accommodate snowbirds (verify). Resort-like on the water with beautiful views. Studios to 3+ bedrooms. Wifi, smoke free, 2 pools and much more. Asturias Senior Apartments Panorama City for 62+ Managed by Western Housing - one and two bedroom apartments and smoke- free - granite counter tops in kitchen/bath - central air - energy efficient - gated parking - Clubhouse, fitness, library, controlled access, elevators. 69 units - Meta Housing Corp is developer. Affordable housing. Cotton's Point Senior Apartments - San Clemente - 2 bedrooms from $1038 for 62+ (verify). Income limits apply. Managed by Western. Glass barrier installed to dampen noise from I-5. 1-BR waitlist closed. FountainGlen at Stevenson Ranch - Near Santa Susana Mountains - 1 and 2 bedrooms with walkin closets, pool, balcony/patio and more. Very California looking with tile roofs. Coventry Court Senior Apartments Tustin - 240 units in master community Columbus Square in former Tustin Marine Base in Orange County, Los Angeles Metro area and 34 mi. to Los Angeles. 40% affordable apts and 60% market rate. Andalucia Van Nuys - New - low income for 62+ . 94 Spacious one and two BR with gourmet kitchens. There are activities, a fitness center, media room, spa and more. Units rent from $693 for qualifying (always verify rents as they can change.) Call 818-891-7200. - 15305 Lanark St.
A little out of the area and over an hour's commute to Los Angeles, but this area is also out of the LA hustle bustle. Magnolia at Highland - San Bernardino - 80 units affordable housing with a resort lifestyle By Meta Housing - Near Community Hospital of San Bernardino - 2120 Medical Center Dr.
Lugo Sr Apartment - San Bernardino - By Meta Housing - 119 units Coming Soon to 185 E. 9th St.
Laguna Woods Village - Laguna Woods - large community - 50 minutes from Los Angeles on I-5 barring no heavy traffic - these are purchase homes but rentals come up occasionally - especially good are the high rise condominiums that are like apartments or the co-ops. Laguna Woods only allows a 6-months lease term out of every twelve. Find them with the local real estate agents.